Professionally designed landscape lighting can be breathtaking when done well. Gardenalia develops personalized lighting solutions that showcase the nuances of your structures and outdoor spaces. Lighting is an often-overlooked design element that enhances the beauty of your house and also improves the safety of your property. 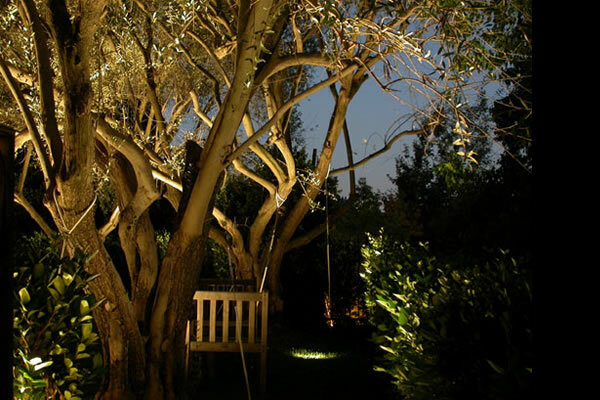 Our outdoor lighting solutions will make your garden an extension of your home that you can enjoy any time, night or day. We exclusively incorporate lighting solutions made by Unique Lighting Systems in our lightscape designs. Unique has distinguished themselves as innovators and industry leaders in outdoor low-voltage landscape lighting. Their lighting solutions are both beautiful and rugged, making them perfect for any setting and all weather conditions. As proof of their commitment to unsurpassed quality, Unique has developed the first and only lifetime guaranteed lighting available on the market today. YES! I am interested in beautifying my home with landscape lighting. I would like a no obligation consultation - Please contact me.